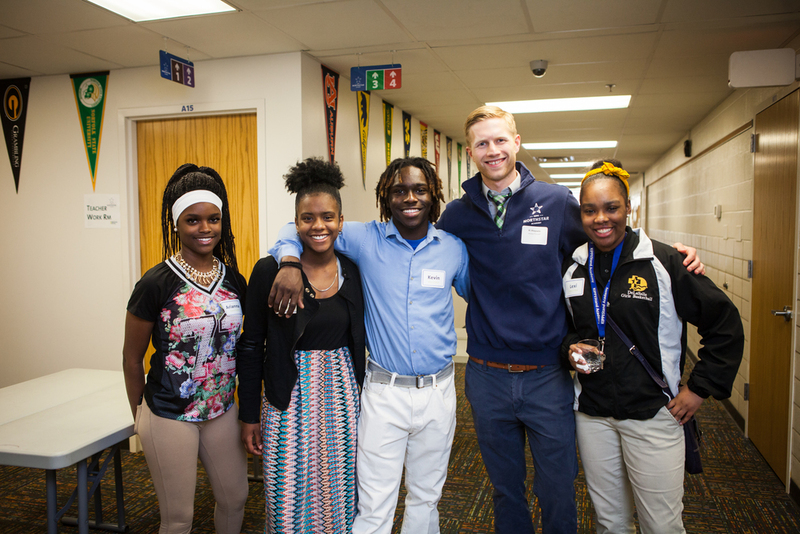 KIPP Minnesota provides High School Placement services to our 8th grade students, to ensure that all of our students attend college-preparatory high schools. Each KIPP 8th grader will apply to at least three high school options. The KIPP Through College staff coordinates and advises students throughout the high school placement process, from initial wish list to matriculation. Finally, it is during 8th grade that students and their families learn about how KIPP Through College will support them during high school and to and through college. All alumni who complete 8th grade at KIPP receive free individualized guidance from his/her KIPP Through College alumni advisor. Our college-focused advising begins in 9th grade. Freshman and sophomore years are focused on adjusting to high school and getting off to a great start with a strong GPA. KIPP Through College guides high school Juniors and Seniors to match to their future college, through building wish lists, completing college applications, and securing financial aid.